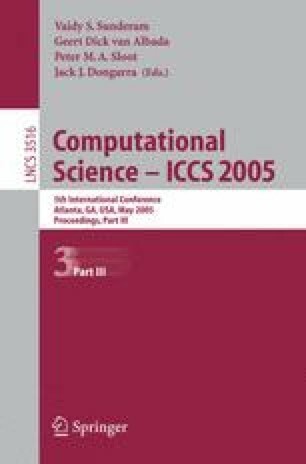 This paper presents the design and implementation of Distributed Object-oriented Wargame Simulation(DOWS) on Access Grid(AG). DOWS is an object-oriented distributed simulation system based on a director-actor model. DOWS on AG supports a collaborative environment by providing a virtual venue with high quality audio and real-time video interactive interface for remote users, and allows a groups of users in remote sites to easily participate in the whole simulation. We design an efficient communication scheme between application and AG so that DOWS can be incorporated on AG for collaboration purpose. This work has been supported by KIPA-Information Technology Research Center, University research program by Ministry of Information & Communication, and Brain Korea 21 projects in 2005.